Founded in 1917, Falstaff Brewing Corporation grew to become America’s third-largest brewer by 1965 and operated breweries across the country. In 1956 as part of the company’s post-Prohibition growth strategy, Falstaff bought the Galveston-Houston Brewing Company of Galveston, Texas. The good times wouldn’t last, however, as Falstaff’s fortunes swiftly declined in the 1970s and the Galveston brewery closed its doors for good in 1981. Architecturally the building rates with the worst of Eastern Bloc design though the screen of palm trees adds a festive note. 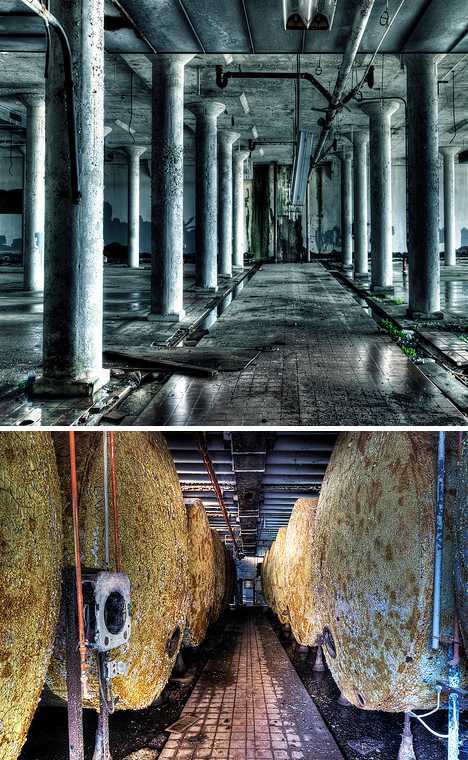 With the bulk of its machinery sold and shipped to China by latter-day owners Pabst Blue Ribbon, the brewery building located near 33rd Street and Avenue E passed into private ownership. 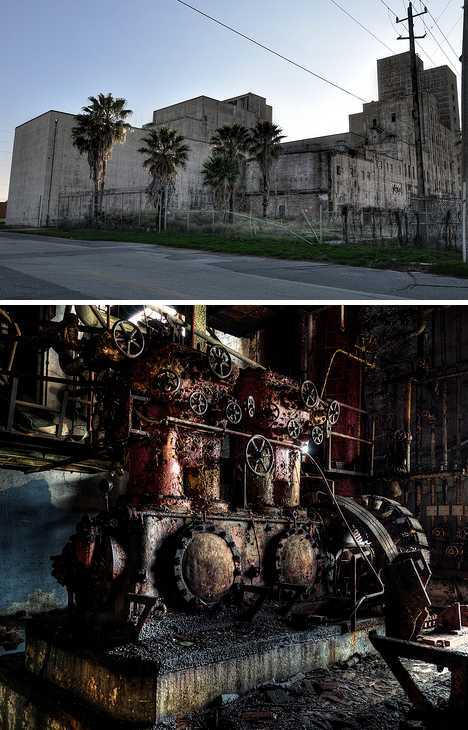 This development has stymied several attempts by Galveston city authorities to raze and redevelop the brewery complex; bad for the city but a blessing for urban explorers! Speaking of which, let’s all give a shout out to Lens Adventurer, whose striking images grace this capsule commentary on Falstaff’s grungy Galveston outpost. When the Berlin Wall fell in 1989, so did beer consumption amongst newly-free East Berliners. Perhaps their beer, like their cars, couldn’t hold a candle to Western competition. 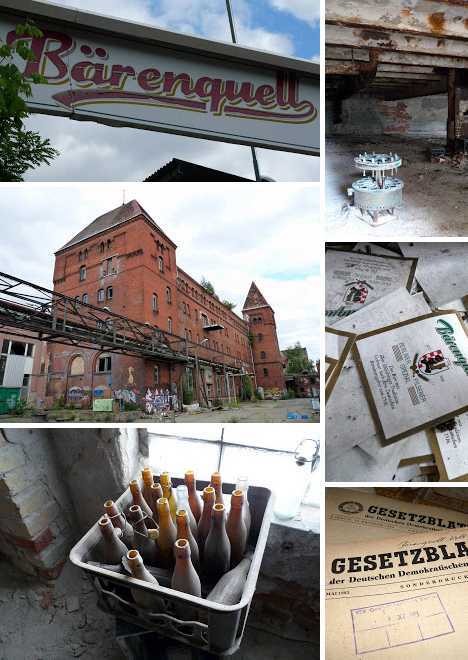 In any case, one of the first bolshie breweries to bite the biscuit was East Berlin’s Bärenquell Brauerei. Established as the Borussia Brauerei in 1882 and expanded to its current red brick abode in 1898, Bärenquell Brauerei survived two World Wars and nearly 50 years of communism before finally giving up the Prosit. 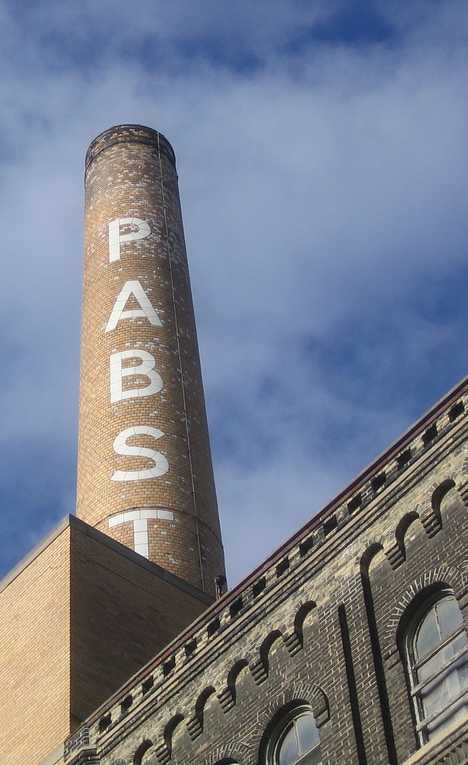 The Pabst Brewing Company opened their first brewery in 1844 and they would continue to brew beer in Milwaukee for the next 152 years. All that ended in 1996 when Pabst contracted out production to rival brewer Stroh Brewery Company in La Crosse, Wisconsin. The huge Pabst brewery complex in Milwaukee was closed and Pabst became a virtual brewer. How d’ya like that, hipsters? 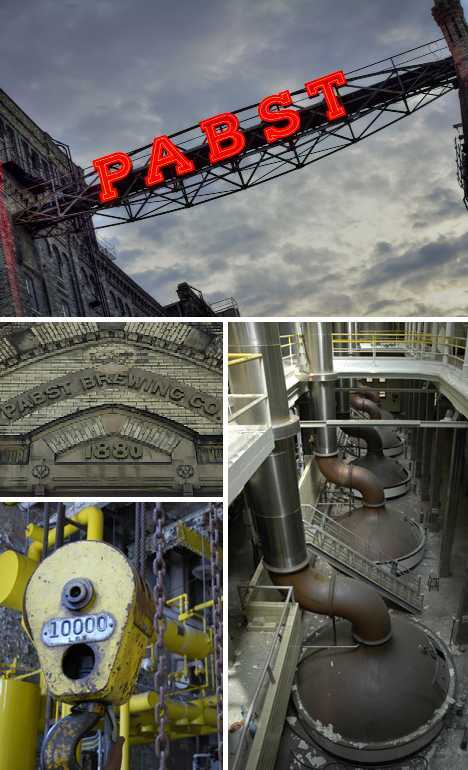 Having been added to the National Register of Historic Places, the massive yet obsolete brewery complex became the subject of a $317 million project that would see the former brewery reinvented as PabstCity, an ambitious entertainment district featuring restaurants, entertainment venues, stores, housing and offices. The project fell through when city authorities balked at the developers’ demands for massive subsidies. On to Plan B: an “historic redevelopment” of the neighborhood into a mixed residential gateway into downtown Milwaukee.